Bradley Manning, the junior intelligence analyst who leaked 700,000 top-secret military documents to WikiLeaks and allegedly endangered national security, has been found not guilty of aiding U.S. enemies — but guilty of most the 21 other counts he was charged with. On Tuesday, Manning was found guilty of violating the Espionage Act, but not guilty of "aiding the enemy," the most serious charge by a mile. 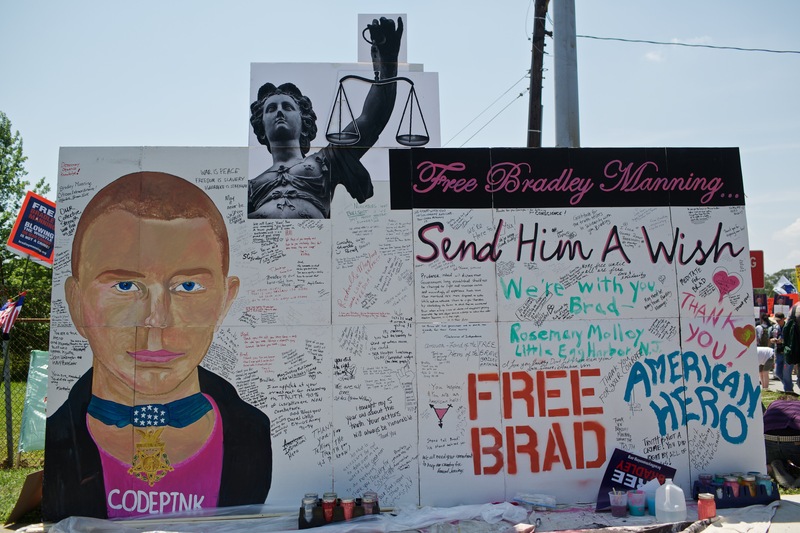 Manning, 25, has spent three years in custody awaiting his fate. He's admitted to leaking the documents (which via WikiLeaks found themselves in the hands of al-Qaeda) but has denied the more serious charge of "aiding the enemy." The latter charge could have seen Manning given the death penalty (though prosecutors rejected that option). All in all, Manning plead guilty to 10 of 22 total charges, knowing that he would face life in prison if convicted. Prosecutors had argued that the junior intelligence officer was well-aware of the consequences of the mass leakage, which included graphic footage of the 2007 Baghdad airstrike and 25,000 diplomatic cables, which are confidential messages between high-up diplomats. Manning's defense portrayed the junior officer as overzealous and naïve, and unaware of the potential threat the leakage could have posed to American citizens. Manning was, according to his lawyers, depressed and disillusioned after his 2009 tour to Iraq, and was looking for a way to throw some of the military's policies into question. Manning himself said that he leaked the documents to spark a "national debate." Response to the trial has been mixed. Some have seen Manning as little better than a terrorist himself, while others have portrayed him as a courageous whistleblower, shining light on U.S. foreign and domestic policies. The charge of "aiding the enemy" is entering a new era in the age of the Internet, and has been much-debated in Manning's case. Historically, those convicted of the charge had leaked information directly to countries the U.S. was fighting in wartime — for example, the Japanese during World War Two. The charge requires "evil intent" — the same required of the charge of murder — and Manning's lawyers have claimed that the officer acted without evil, and with good if misjudged intent. Manning should find out what sentence he'll face on Wednesday.